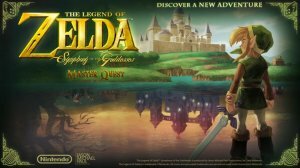 Following the announcement of the 2015 Master Quest World Tour, a NeoGAF user released the full list of the musical set for Symphony of the Goddesses. Over the weekend, Japan’s Master Quest concert sold out and Nintendo broadcasted the live performance, giving us information on the set music list. The set has a combination of previous songs and new additions (namely Majora’s Mask 3D and A Link Between Worlds’ medleys). Hit the jump to see the full list—spoilers! What are your thoughts? Are you attending Symphony of the Goddesses? Let us know in the comment section below!